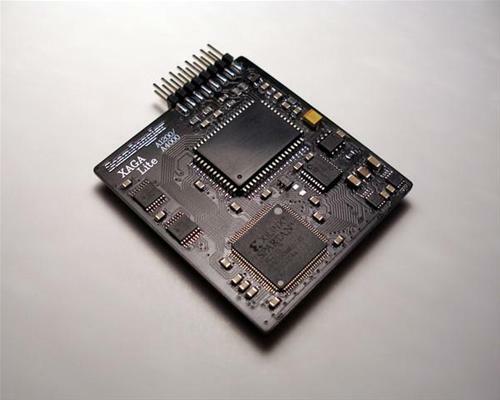 ScanJuggler XAGA Lite is a scandoubler for A1200 and A4000(D) machines. When fitted inside an A1200, it fits below the HDD frame and among other add-on cards. ScanJuggler XAGA Lite comes with a VGA connector by default. 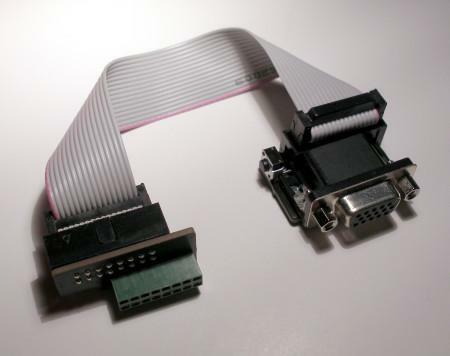 The small add-on on the VGA connector fits both into A1200 and A4000. 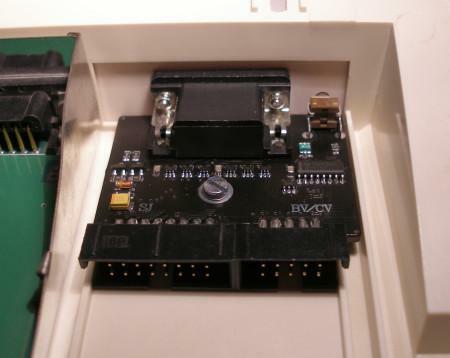 In A1200 it fits together with for example the ELBOX KEY V2.0 and of course the HDD frame. In case of A4000 it doesn't collide with the card put in the lowest slot. The connector has a button, which you can use to control the SJ. This connector doesn't support DDC/CI. The Analogue Switcher Module is an extra add-on for the ScanJuggler. 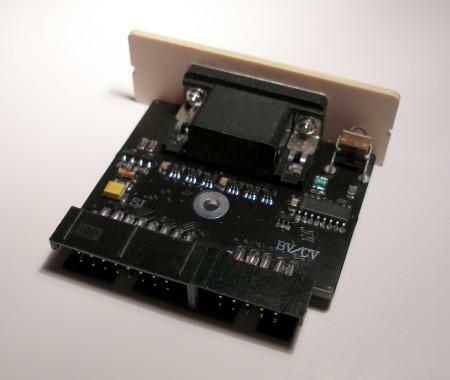 It fits below the floppy in an A1200, or into a slot-backplate in an A4000. It connects to the SJ with a shielded cable and it also has an input connector to for your BVision or CVision. Switching between the inputs is automatic or can be controlled with a button on the module. The button is also used to control other functionality of the SJ. This connector supports DDC/CI. The Analogue Switcher Module works with the ScanJuggler XAGA FF model, but it doesn't support the digital (DVI) output, only its analogue VGA output. Page contributors: Carsten Jensen (Tomse), Steen Jessen.